Polish-born English author who wrote Lord Jim (1900) and Heart of Darkness (1899). The latter work was adapted into the 1979 Francis Ford Coppola film, Apocalypse Now. He enrolled at St. Petersburg University and studied literature for several years. 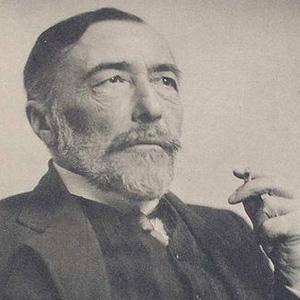 He published his first novel, Almayer's Folly, in 1895. His dark, nautical-themed works are sometimes considered precursors to Modernist literature. He married Englishwoman, Jessie George, in March of 1896. The couple became parents to two children: Borys and John. His works have led to many film adaptations, including The Duel, a historical drama starring Keith Carradine.